The cemetery where the body of Hillsdale College’s first pres­ident, Daniel McBride Graham, lies has fallen to dis­repair in the past few decades. 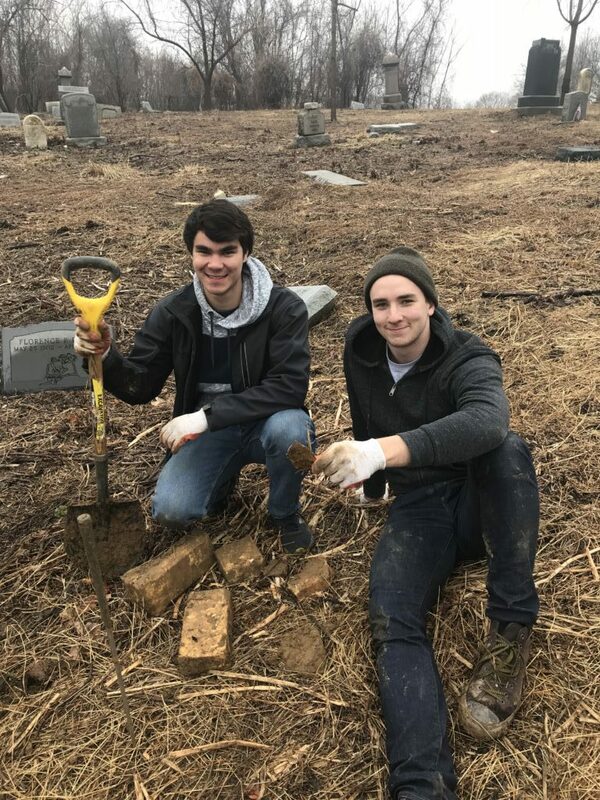 After learning of the sit­u­ation at Mount Moriah Cemetery in Penn­syl­vania, Vis­iting Asso­ciate Pro­fessor of Classics Joshua Fincher took juniors Joe Toates and Calvin Zabrocki to examine the area and see how Hillsdale College could improve it. Because Graham’s plot has no head­stone to mark it, the president’s office plans to coor­dinate with Graham’s descen­dants in the coming years to place a head­stone or plant some­thing near the site. Graham spent a lot of time founding col­leges and churches within the denom­i­nation. Hillsdale College was one of the first that he helped establish. In October of 1844, 27-year-old Graham became the first pres­ident of Hillsdale College, then called Michigan Central College, in Spring Arbor. The school opened with only five stu­dents in a small, deserted, two-room store. He resided there until he moved to Saco, Maine, in 1848 to become a Free Will Baptist min­ister. In the time between his two pres­i­dencies at Hillsdale College, Graham founded Bates College in Maine and operated the Free Will Baptist Church in New York City. He also spent several years working in real estate. When Pres­ident James Calder resigned from his position at Hillsdale College in 1871 and the first two men to whom the college offered the position declined, the college trustees asked Graham to return. Graham was very active in fundraising for the college endowment, espe­cially after a fire in 1874 destroyed most of the sole college building. Graham was instru­mental in the decision to rebuild campus as mul­tiple buildings so as to prevent such major damage from occurring again. This led to the con­struction of central hall that is presently on the campus of Hillsdale College. After his work with the college, Graham moved to Chicago in 1875 to work in real estate again. In 1879, Graham retired near family in Philadelphia, where he died in 1888. In the 1960s, the family that owned the cemetery grad­ually allowed sec­tions of it to become forestland because they did not have a lot of money. “The family passed away in the 1990s, and the board of directors that were to govern the cemetery also died in the early 2000s,” Fincher said. When Fincher lived in Philadelphia around 2008, the state of the cemetery was “quite dis­as­trous and actually somewhat dan­gerous.” Because of the illegal burials, van­dalism, and vio­lence that occured in the over­grown area, the cemetery had become “a big issue for the city,” Fincher said. In March 2011, the city was informed through news reports and citizen phone calls that Mount Moriah had ended its business oper­a­tions. From that time to the present, a vol­unteer orga­ni­zation called Friends of Mount Moriah has worked to restore the area. When researching the current state of the cemetery in the fall of 2018, Fincher dis­covered on Wikipedia that Graham was one of the notable people buried in Mount Moriah Cemetery. He reached out to Friends of Mount Moriah to inves­tigate the matter, and the orga­ni­zation helped him find the plot. The orga­ni­zation had started clearing the area where Graham was buried in 2017, because it was espe­cially full of trash and over­grown trees and shrubs. 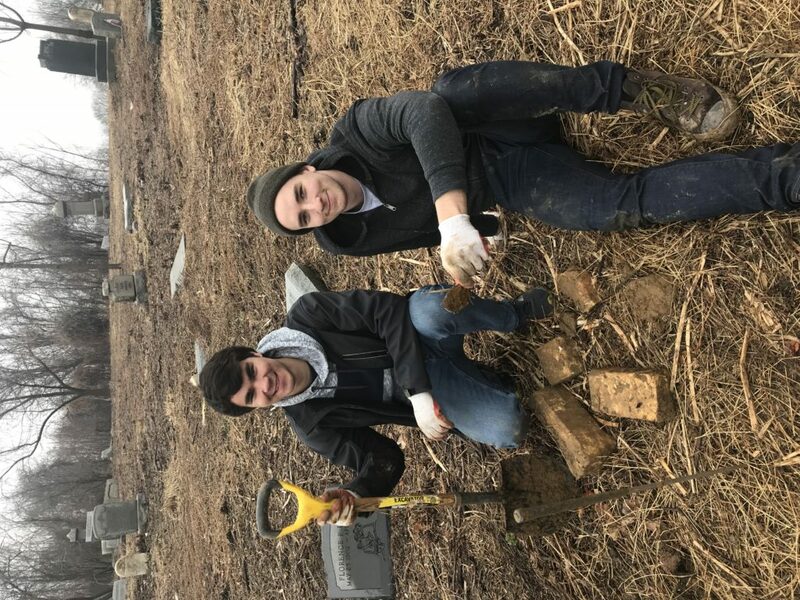 Fincher informed Hillsdale College Pres­ident Larry Arnn of his dis­covery, and the president’s office decided to send a small group to the cemetery with Fincher, who was willing to use the first half of spring break for the expe­dition. Geiger asked Toates if he wanted to go on the trip because he had been a student of Fincher’s before and has worked in the president’s office for mul­tiple years. Toates was instructed to bring along a friend, so he took his housemate Zabrocki. At Graham’s gravesite, the only markers were four stones, each engraved with the letter “G,” at the corners of the 6 by 6 foot plot. “No head­stone, no nothing,” Zabrocki said. “It was just a non­de­script patch of ground,” Toates added. The group did some prodding around the plot to see if they could find any signs of a head­stone, but could not find a head­stone in the time they had. “More than likely, there is a head­stone there, but we couldn’t find it,” Zabrocki said. Fincher empha­sized that it is important to honor the founders of Hillsdale College. Alas, poor Daniel. He lost his faith and now these newly gospel’d yokels are going to smear him with it. Perhaps with agreement of Pres­ident Daniel McBride Graham’s descen­dants, his final resting place could be trans­ferred to Oak Grove or Lake View. — ? Might be better for all con­cerned. Here’s an idea, perhaps Pres­ident Graham (with appro­priate agreement from descen­dants) could be interred in the new Christ Chapel. –! –?